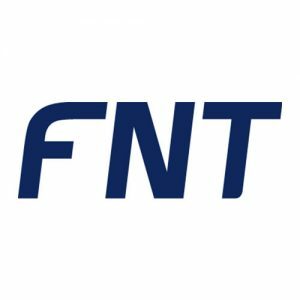 FNT has issued the third major release of FNT ServicePlanet, its standard software package for modeling and delivery of standardized products and services. The expanded functionality is designed to support users in the role of service broker while also improving the efficiency of service management processes. As digital transformation introduces profound changes in the operation of modern IT infrastructures, new and dynamic conditions are emerging in the field of IT service management. Many businesses already understand the importance of developing existing skills and processes as they seek to deliver their business services in a more cost-efficient and standardized way. Increasing the agility and standardization of those services is crucial to success in tomorrow’s IT markets. With their new role as service brokers in hybrid IT environments, users require an off-the-shelf solution that enables easy definition, management, and monitoring of business services and individual service assets throughout their respective lifecycles. FNT ServicePlanet combines those capabilities in a single management system. Industrialization of IT with FNT ServicePlanet. FNT ServicePlanet 3, the latest release of FNT’s product portfolio and service management solution, includes major new features that let companies take the pivotal step from project-oriented to product-oriented development of business services. FNT ServicePlanet 3 is both a management control center for IT services and a central hub for enterprise-wide IT, business, and service operations. Effective support of work processes is highly dependent on the availability of information when required. In FNT ServicePlanet 3, that information is provided through configurable, role-based user interfaces as well as predefined best-practice dashboards. The interactive graphical dashboard content provides all key metrics at a glance. Crucially, that content comes from a reliable database, ensuring the best possible foundation for operational and strategic decision-making. When it comes to marketing services to customers, the new Self Service Portal provides an effective and intelligent online shop system. Using a pre-defined product catalogue, all configuration interfaces are automatically generated during the order process. “FNT ServicePlanet is an innovative product that’s designed to bridge the gap between IT infrastructure and service management,” explains Nikolaus Albrecht, CEO of FNT. Thanks to standard integration with FNT Command, it is possible to share a wide range of data, including status messages and work orders, for use in the documentation and delivery of business services and the underlying hardware.